Looking young is more within your control than you think. Individuals spend in thousands on cosmetics and fashion to make them appear more youthful, but the secret to anti-aging lies in dietary choices. 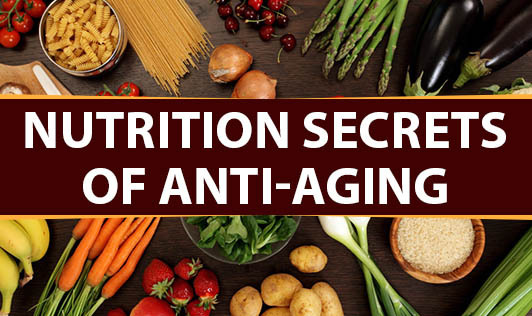 However, there are specific foods that can delay the signs and onset of aging. While there is no guarantee that eating these foods will give an instantly dewy complexion, even if they help feed the cells with the essential nutrients, they need to function. As you age, your bodies process nutrients less efficiently, resulting in need to increase your nutrient intake. Dietary choices are just as important as using sunscreen, getting exercise and other preventive tactics. Fruits and Vegetables- Fruits such as berries, oranges, apples, plums, mangoes and melons are some of the best choices. Vegetables like spinach, dark green and orange colored vegetables and tomatoes are some of the best vegetable choices. These are loaded with enormous nutrients and are rich in antioxidants that help to fight free-radical damage, keeping the skin smooth and young looking. Nuts and Seeds- Most varieties of nuts like walnut, almond, flax seed etc are good source of essential fats. The healthy fats in nuts benefit the elastin and collagen in skin, helping to maintaining skin's structure and keep it resilient. Milk and its products-Skim milk and low fat dairy products are yet another great source of Vitamin A which can be really good for the skin. Fish-It is high in quality protein and is best-known for essential fatty acids like omega 3 and omega 6, which offer skin lubrication and thus vital for good skin and body. Green Tea- This beverage deserves its own category of healthy skin benefits. It has anti-inflammatory properties and may help to prevent or reduce the risk of skin cancer. Finally, not to leave the Water intake that helps to keep the skin cells plump. 8-10 glasses of water per day helps the cells to move nutrients in and toxins out, and thereby making you look youthful. So, Make sure you are including the above foods regularly onto your food platter. Also reduce your intake of caffeine, fats, oils, salt, sugar, refined foods, processed foods etc to maximize the health benefits of glowing, vibrant and young-looking skin!